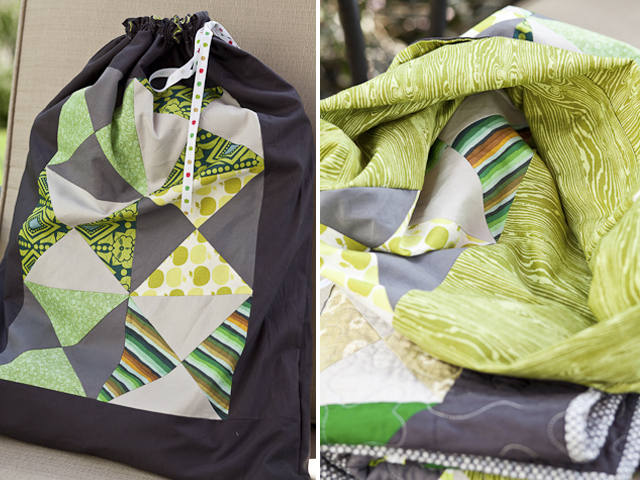 I promise this is the last of the Hourglass quilt! But wanted to share the drawstring bag that I made before sending it out - this was my first drawstring bag and I was pleasantly surprised at how easy it all came together following this tutorial by Sew Mama Sew. It has been a wonderful project to work on and I am hosting again next month... have some ideas that involve words! 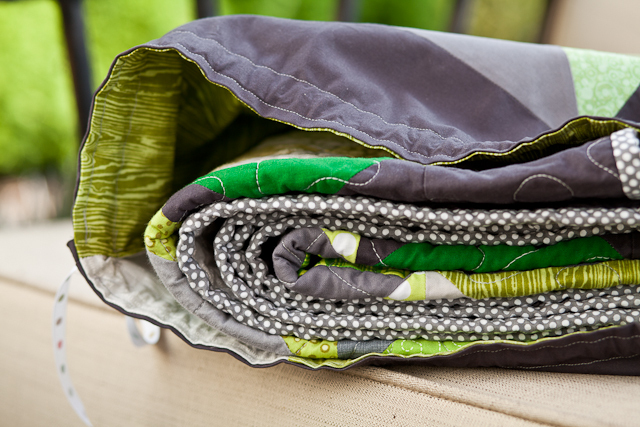 The quilt is beautiful, but that drawstring bag is really that extra touch that makes it even more special. I'd so love to have a picnic blanket like this (though I know I'd never bear being able laying it on the grass). What a fabulous, fabulous bag. I'm glad you showed us! p.s. curious about your word quilt!